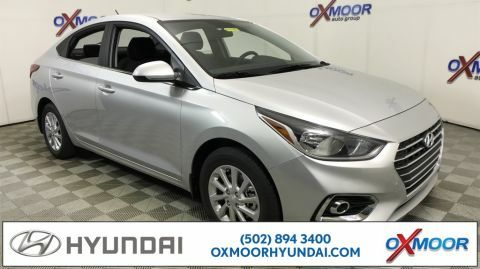 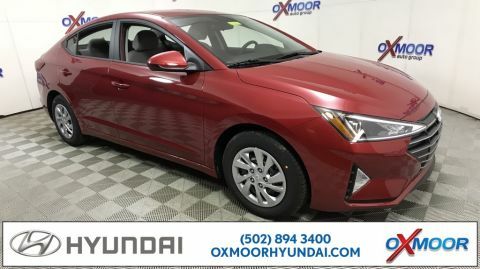 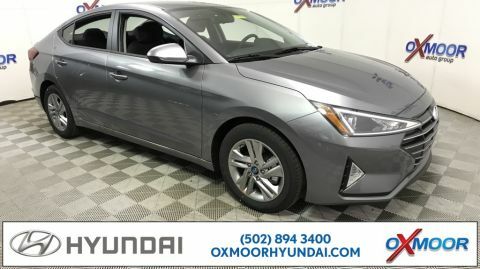 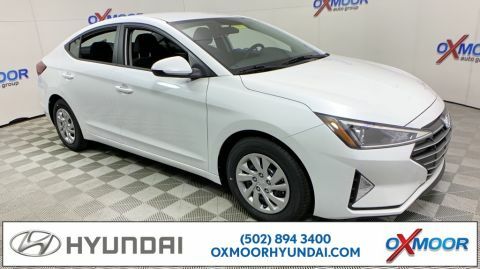 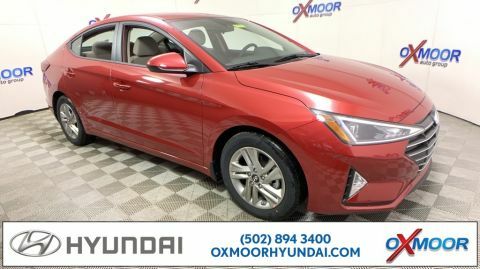 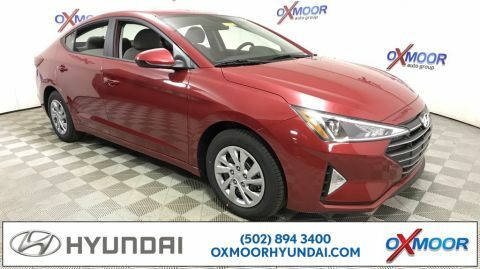 2018 Hyundai Accent SEL Beige Cloth. 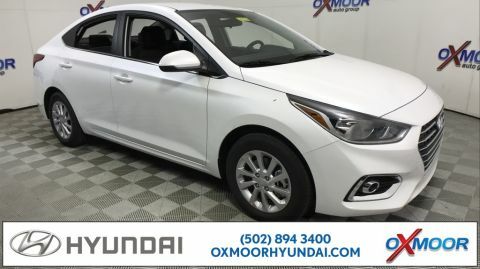 38/28 Highway/City MPGElectronic Stability Control (ESC) w/ Traction Control ABS w/ Electronic Brake Force Distribution & Brake Assist Front, Front Side Impact & Side Curtain Airbags Driver's Knee Airbag & Hill Assist Control (HAC) Blind Spot Detection w/ Rear Cross-traffic Alert Rearview Camera w/ Dynamic Guidelines POWERTRAIN TECHNOLOGY 2.0L, 147 HP, 132 lbs-ft Torque, DOHC 4-Cylinder Dual Continuous Variable Valve Timing 6-Speed Automatic Transmission w/ SHIFTRONIC® 4-Wheel Disc Brakes EXTERIOR 16-Inch Alloy Wheels with 205/55 R16 Tires Projector headlights w/ Daytime Running Lights Heated Outside Mirrors & Dual Bodycolor Door Handles / Mirrors COMFORT & CONVENIENCE 7" Display Audio System w/ AM/FM/HD Radio & 6 Speakers SiriusXM® Radio w/90 Day Trial; Not Available in AK & HI Android Auto (TM) & Apple CarPlay (TM) Two 12V Outlets/Smartphone/USB & Auxiliary Input Jacks Bluetooth Hands-free Phone System Steering Wheel Mounted Audio & Cruise Controls Auto Headlamp Control & 3.5'' TFT Mono Cluster Display Tilt-and-Telescopic Steering Wheel Driver & Passenger Seat Height Adjustment Center Console Mounted Rear Cupholders Power Windows and Door Locks 60/40 Split-Folding Rear Seatback Trunk Lid Cover Remote Keyless Entry w/ Alarm Temporary Compact Spare Tire All Rebates included in pricing. 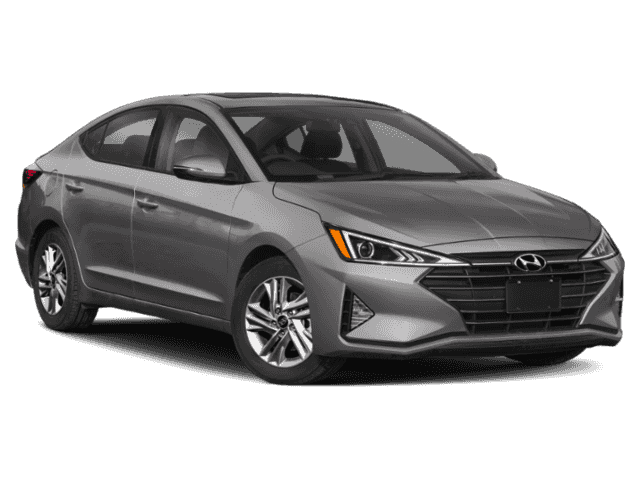 Some buyers will not qualify for all rebates. 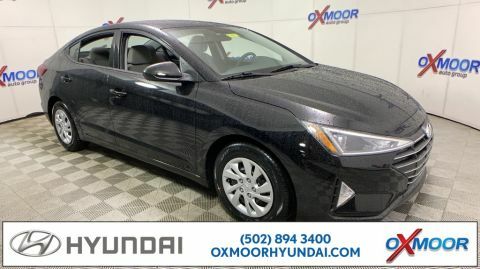 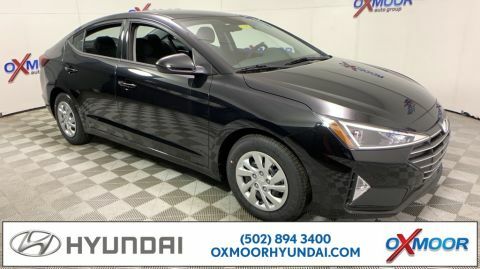 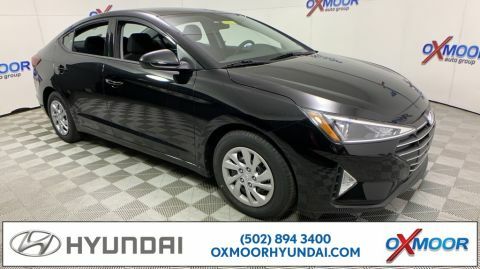 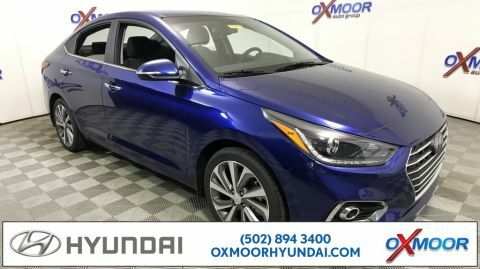 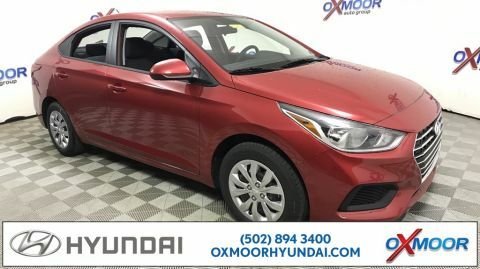 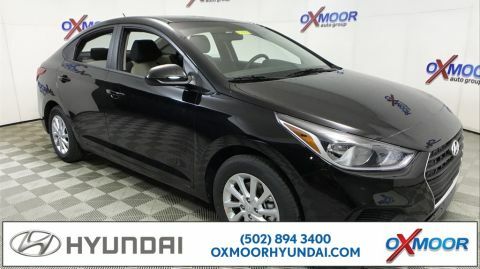 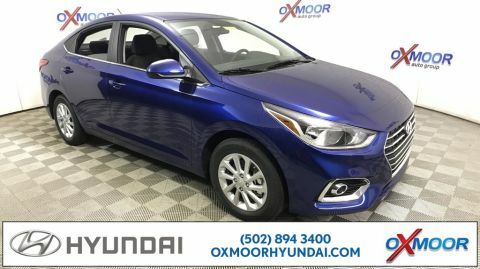 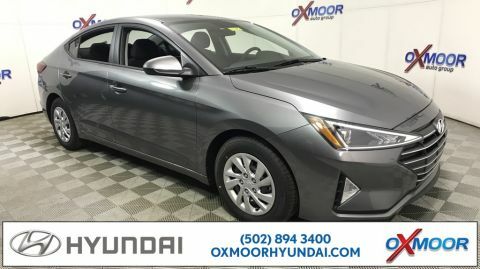 2018 Hyundai Accent Limited Black w/Cloth Seat Trim, Option Group 01. 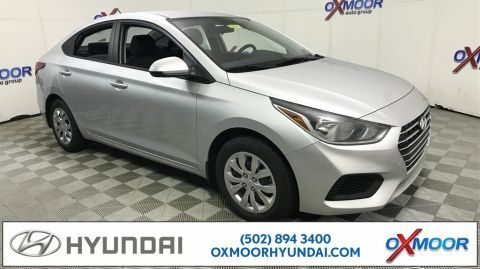 38/28 Highway/City MPG Electronic Stability Control (ESC) w/ Traction Control ABS w/ Electronic Brake Force Distribution & Brake Assist Front, Front Side Impact & Side Curtain Airbags Rearview Camera w/ Dynamic Guidelines Driver's Blind Spot Mirror Forward Collision-avoidance Assist POWERTRAIN TECHNOLOGY 1.6L GDI, 130 HP, 119 lbs-ft Torque, DOHC 4-Cylinder 6-Speed Automatic Transmission w/ SHIFTRONIC® 4-Wheel Disc Brakes & Hillstart Assist Control EXTERIOR 17-Inch Alloy Wheels and 205/45R17 Tires Power sunroof & Fog Lights Projection headlights w/ LED DRL & LED Taillights Side mirrors with turn indicators COMFORT & CONVENIENCE AM/FM Audio System w/ 6 Speakers 7-Inch Touchscreen w/ Android Auto(TM) & Apple CarPlay(TM) Smartphone/Dual USB charging & Auxiliary Input Jacks SiriusXM® Radio w/90 Day Trial; Not Available in AK & HI Automatic headlamp control Automatic Temperature Control w/ Auto Defogging Steering Wheel Mounted Audio & Cruise Controls Leather-wrapped Steering Wheel & Shift Knob Heated Front Seats Center Console Storage Box w/Sliding Armrest 60/40 Split-Folding Rear Seat Proximity Key w/ Push Button Start Hands-free Smart Trunk Compact Temporary Spare Tire All Rebates included in pricing. Some buyers will not qualify for all rebates.